PS Vita PSP at the first place only because it is emulation, emulator running on the fact that just because we can run your own code does not change much. So while hacking into the system are reproduced in an environment that is running on the PSP will own code. 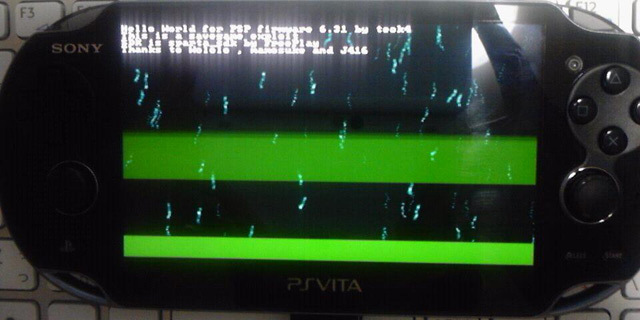 Half-start at the maximum of the PSP Homebrew Byte Loader (reproduction of) is enough. Some might suspect that I’ll not do FAKE, exploit teck4 his unpublished exploit is genuine. PSN version save game exploit with other titles, so there are some that may be realized in the start of the PSP Homebrew PS Vita Once you have established how to start the HBL, the saved data is Sony ” Administrative Assistant for PlayStation content “must be transferred to the PS Vita, and further to transfer the state must now transfer the save data folder into the Hello World binaries that only the saved data . Will be transferred into the data folder in the save if the body can then be started with Vita HBL. And that is a big possibility that such measures are easily crushed to prevent unwanted save game file transfer for applications that work under the control of Sony. In addition, PS Vita Min Gol exploit so far as such details as if it had been like the PSP PS Vita measures also seem to emulate the PSP.